Data Science - ADM Associates, Inc.
We possess extensive data science capabilities and use innovative tools and techniques for energy modeling and for displaying analysis results. Our data science team possess a multidisciplinary skill set, including engineering, statistics, and programming. This skill set is complemented by extensive energy program evaluation experience. Our data scientists employ a number of analytical tools including R, Excel, STATA, Python, Matlab, C, and others. ADM data scientists have developed practical approaches that scale to program size, so that, for instance, after pilot analyses, the approach can be subsequently applied to larger sample sizes or populations. We employ practical coding practices that facilitate code durability and re-use, such as automated testing and using a source code repository. Energy modeling usually begins with variations of linear regressions, but occasionally advanced models are used to reduce uncertainty. 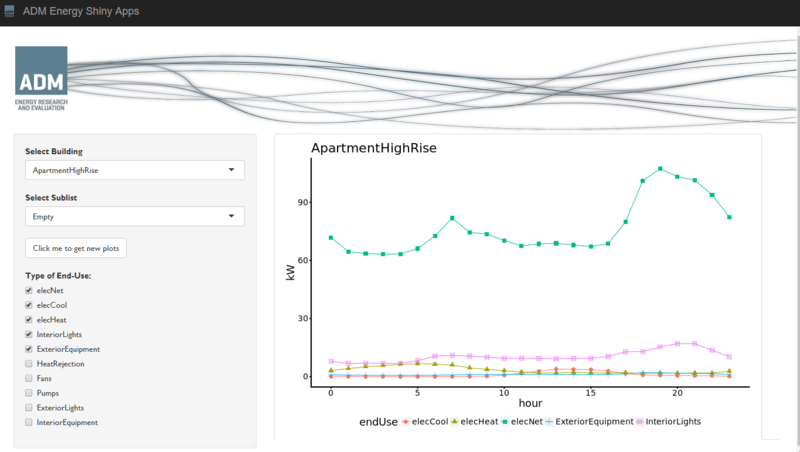 In analysis of energy retrofits with interactive effects, or when data is insufficient or corrupted, we have the know-how to use parametric batches of building simulations to create synthetic data sets. For example, in a load shapes forecasting program, we conducted thousands of EnergyPlus building simulations to improve models of energy efficiency measures having significant interactive effects. 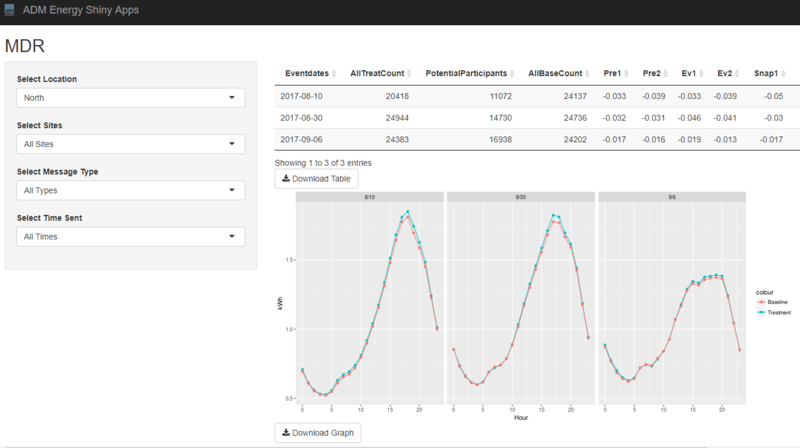 Our data science team has developed custom tools to report analysis findings, emphasizing intuitive and accurate presentation of results. These custom reporting tools include dynamic websites offering real-time data analyses, performance dashboards, and static websites hosting reports and reference materials. For an example of the custom reporting tools developed by our data science team, please explore the Tiny House Results website. 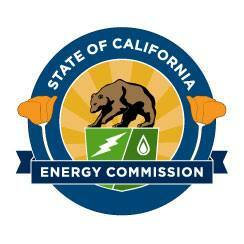 We are contracted with the California Energy Commission to conduct the California statewide Commercial End-Use Survey (CEUS). For the CEC, we are developing dynamically updating electric end-use load shapes in various market sectors and in 13 distinct forecasting zones. For Indiana Michigan Power, we are evaluating the Electric Energy Consumption Optimization (EECO) Program, a conservation voltage reduction initiative.